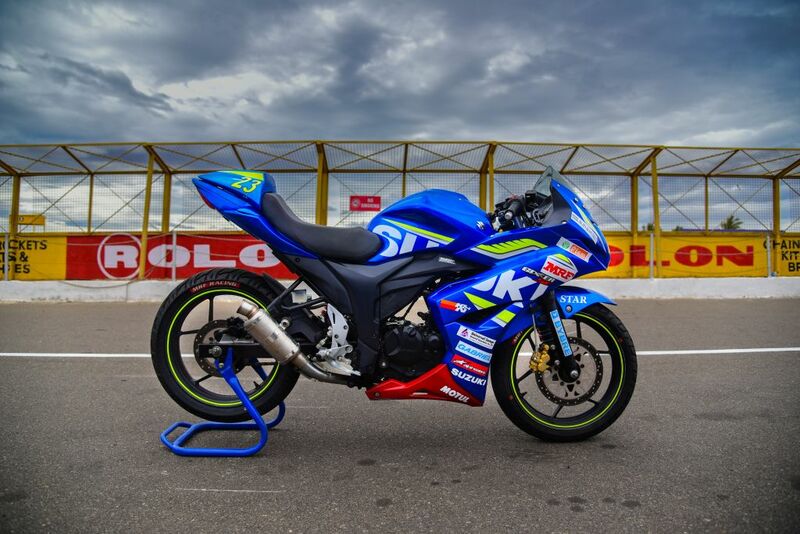 Suzuki Gixxer Cup Season 2 is here! 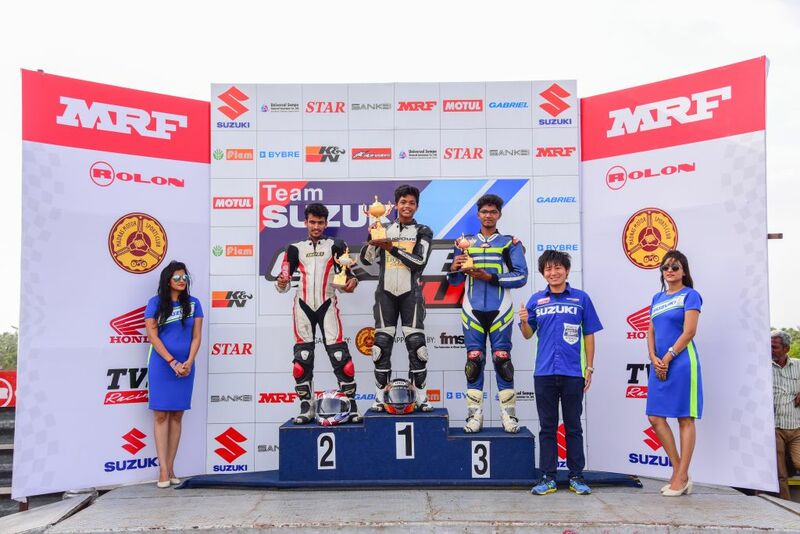 After a long and impatient off-season, the Suzuki Gixxer Cup returned for its second season this year. 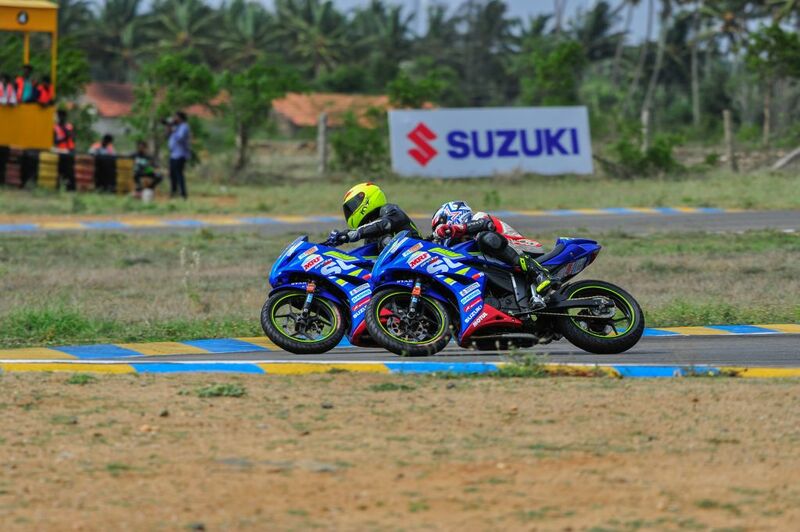 The popular one make race series, organized by the Madras Motor Sports Club (MMSC) and approved by the Federation of Motor Sports Clubs of India (FMSCI), returns as a supporting race for the Indian National Motorcycle Racing Championships in 2016. 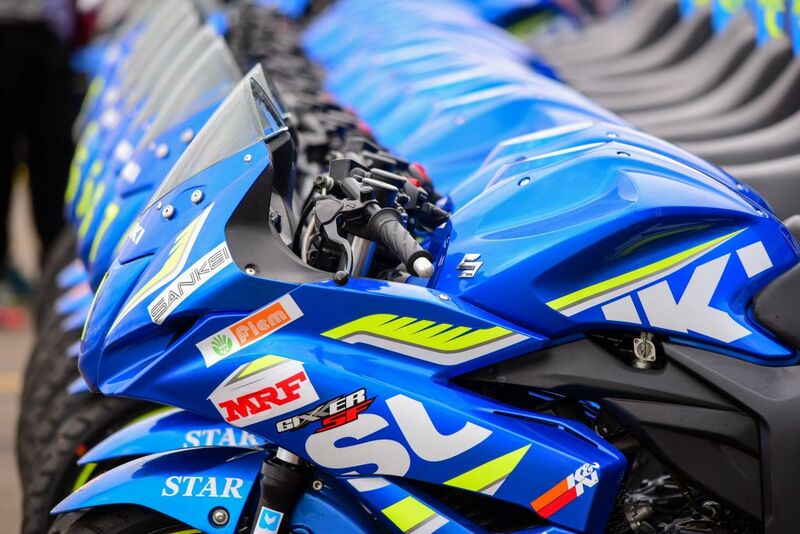 In addition to the Novice Class (Under 23 years) and Open Class (Above 23 years), Suzuki took the Gixxer Cup one step further this year by collaborating with the Red Bull Road to Rookies Cup. The Road to Rookies Cup is a real launch pad for young riders in the age of 13 to 17 years to get access to the Rookies Cup in Spain and then on to Moto 3, Moto 2 and eventually MotoGP! Thanks to the positive reputation and rapport garnered by the Suzuki Gixxer Cup in its maiden year, this season began with overwhelming participation for both Novice and Open classes, even from neighboring countries. Novice had a total of 39 entries and Open had 24 entries with many eagerly on the waitlist. Friday was spent with the riders going out on practice sessions in batches and getting re-acquainted with their race machines, feedback to the technical crew, and tweaking of the brakes and other minor adjustments. The race prepared Gixxer SFs have been upgraded to rear disc brakes, which helped in better braking control for our racers! Saturday had 3 qualifying sessions – 2 batches for Novice – where the top 20 riders were selected, and 1 batch for Open – where the top 23 riders qualified for the final race grid. 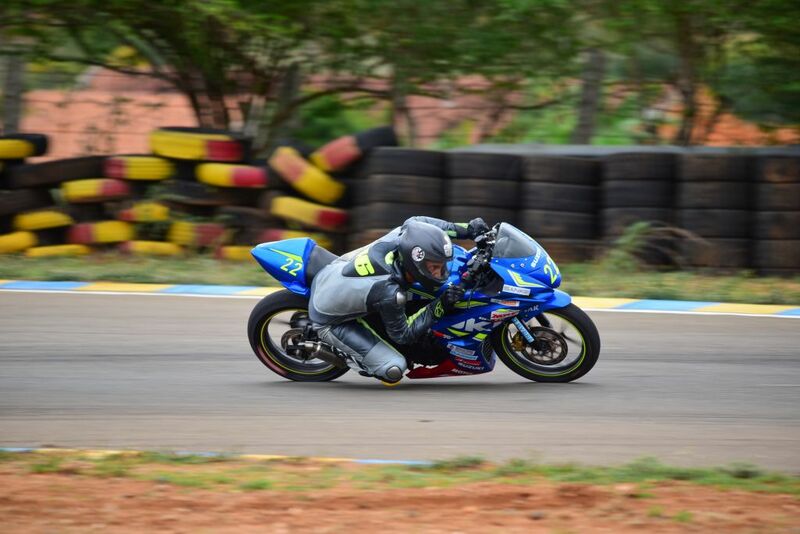 The day ended with the Novice Race 1 where our international participant, 13 year old Aaron Gunawardena clinched the closely fought race from Joseph P Mathew with a best lap of 1:21:161. 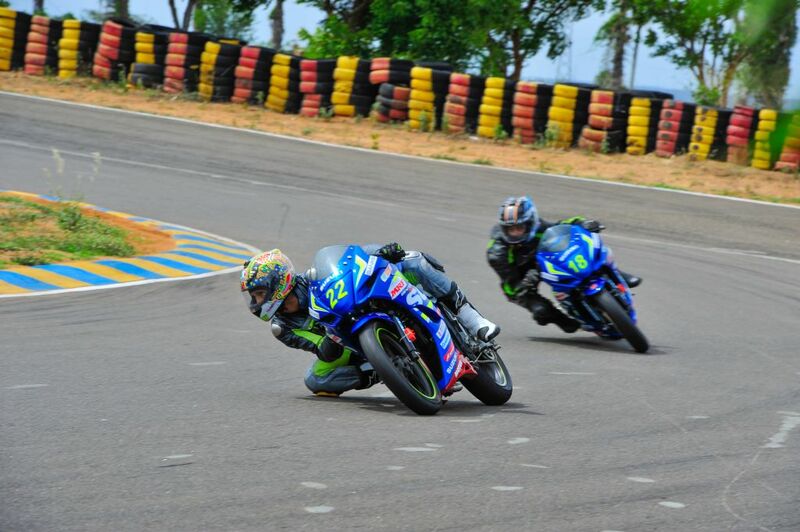 Sunday, as always, was the most energetic and active day of the Gixxer Cup weekend with 3 races lined up! Novice Race 2 had the riders in 2 groups, racing for 1st position and then for 4th, both being closely fought to the last lap. Finally, Aaron emerged the winner again, leaving the 2nd position for Joseph P Mathew and 3rd was claimed by Amarnath Rajan. 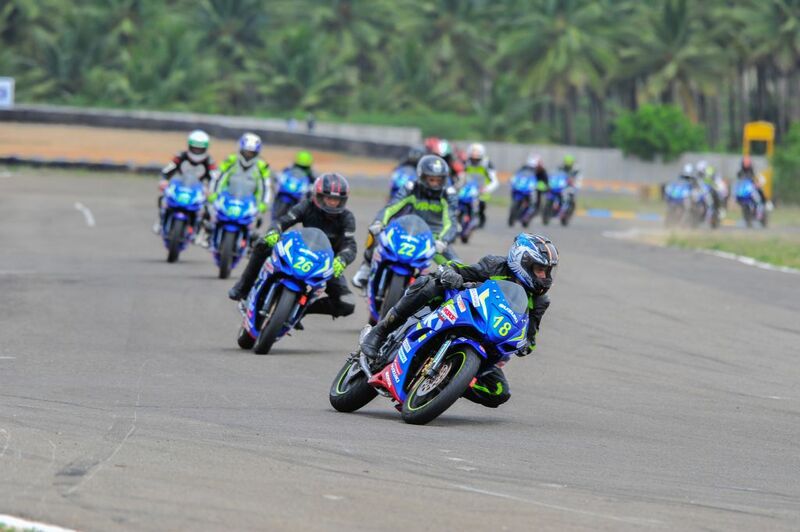 The grand finale was the Gixxer Cup Open race which had the big boys battle it out right from the green light! Stiff competition and a tight grid led to a crash followed by a restart, which resulted in an exciting race for the top 3. Last year’s frontrunner Meka Viduraj crashed out in the midst of an intense battle with B Rajnikanth, allowing Rajnikanth a well-earned win. 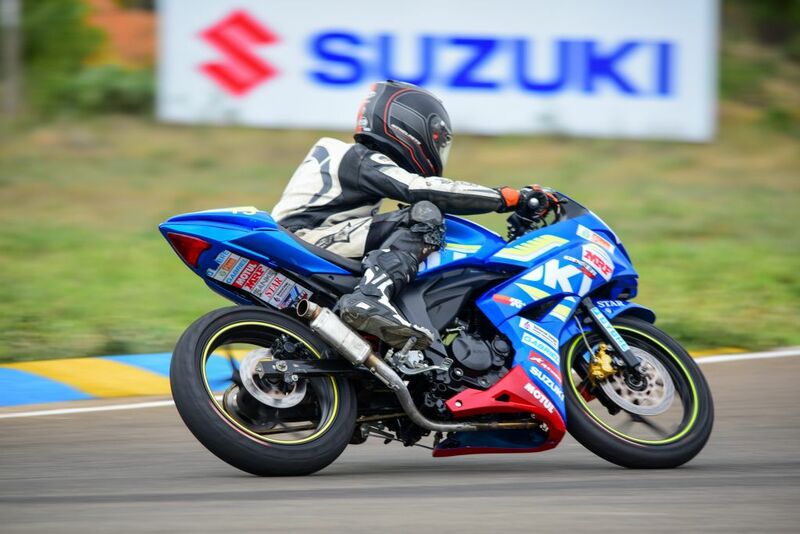 2nd place went to Vivek Mani and 3rd to Prabhu V.
It was satisfying to know that the race Gixxer SFs performed about 2 seconds faster per lap compared to last year, clearly showcasing how well the machines and riders have evolved in the past year. A visit by some 200 enthusiastic Gixxer customers from the area added to the fun and fanfare as they witnessed the Team Suzuki pits, the race bikes and all the racing action up close! 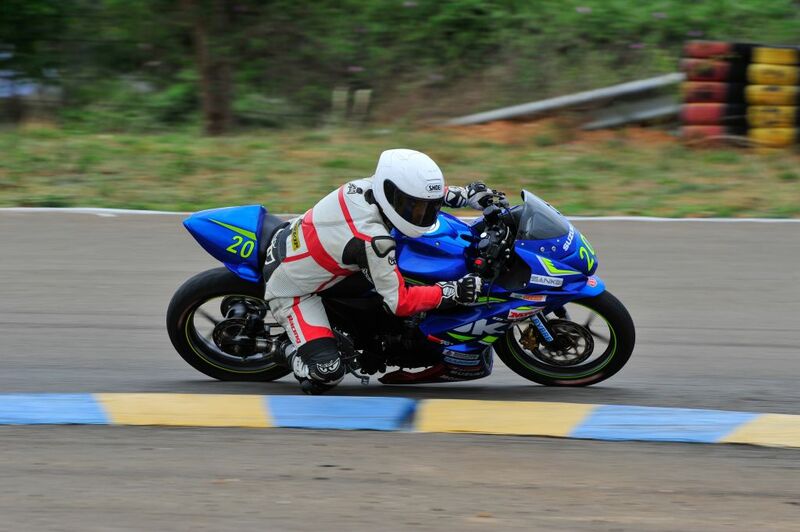 Round 2 takes the Suzuki Gixxer Cup to the Madras Motor Race Track in Chennai on the weekend of the 8th – 10th July. 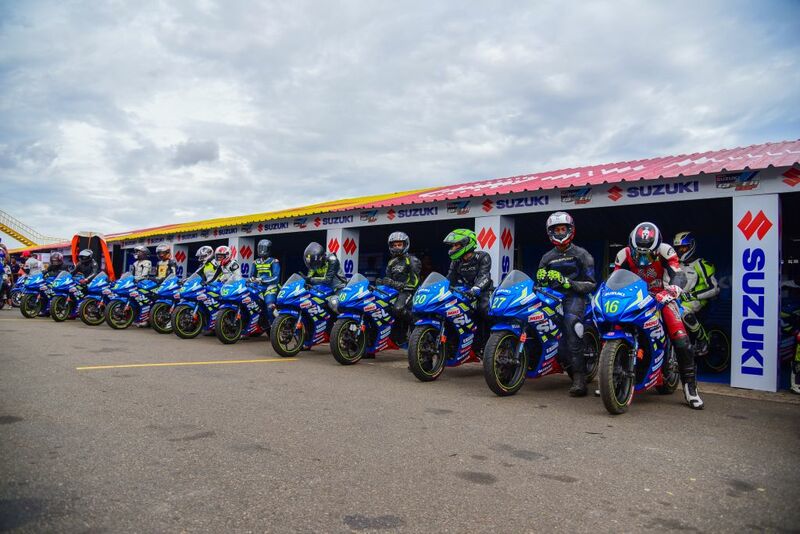 This will also have the Road to Rookies Cup riders run alongside the Novice riders on the same grid – another beginning of an interesting evolution of the Suzuki Gixxer Cup!